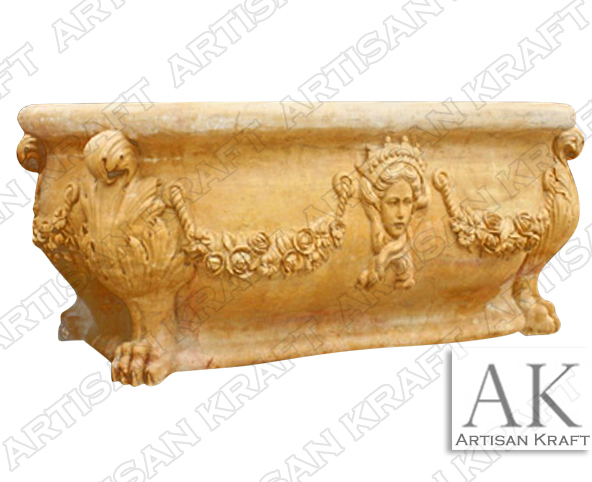 Floral carvings ornate the sides of this beautiful solid stone tub with a royal queen flanking two sides. Tub can be ordered in custom size for a larger design. Overflow drain and soaking side are additional upgrades. Get a beautiful matching free sink in the same stone for free when you buy any tub.